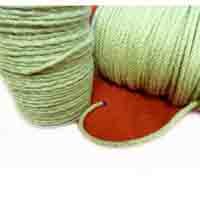 Sisal rope is a traditional natural fibre 3 strand rope. 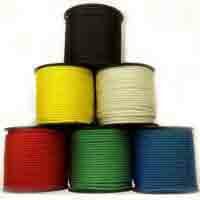 It has many uses. 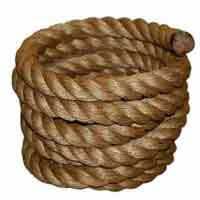 Sisal rope is similar to manila rope in texture but is lighter in colour. 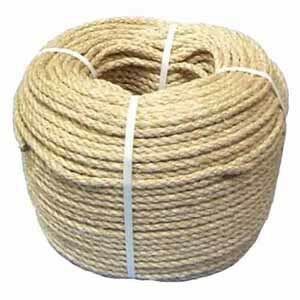 Like manila rope sisal rope is made from natural fibres and will shrink when wet and lengthen when dry so be sure to make allowances for this when measuring and ordering. 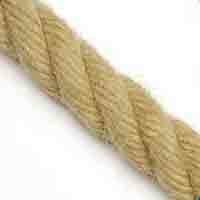 The diameter of the rope is also measured during manufacture whilst the rope is under tension so the finished product may have a larger diameter than stated.